20/11/2017 - Scotland’s Towns Week begins today! Our annual week-long celebration of the nation’s towns and city districts is a unique opportunity to collaborate, share best practice, interests and opportunities and ultimately help to bring life, vitality and vibrancy back into our town centres. 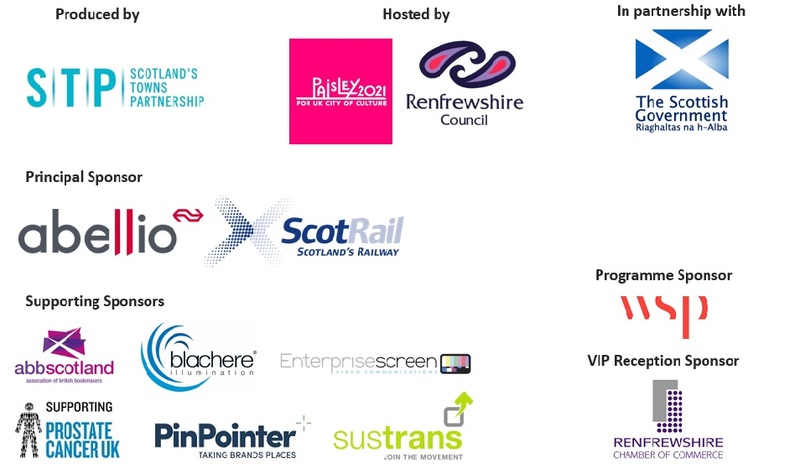 Find out more about what’s on, how to get involved, and Scotland’s Towns Conference below. In addition, voting is now officially open for the FutureTown Design Competition and closes at midnight on Sunday 26 November. → Share photos of your town and tell us what makes it unique. Take part in the conversation on Twitter at @ScotlandsTowns, #LoveMyTown and #ScotlandsTowns, or at our Facebook page here. → Tell us about and share any events or initiatives happening in your town during 20 - 26 November. Contact us, and see what's on below. The FutureTown Design Competition invites organisations and members of the public to submit sketches, photographs and short written descriptions of how urban spaces could be improved or renewed. After receiving applications for this year's competition, Scotland's Towns Partnership has shortlisted entries, and the winner will be decided by a public vote held during Scotland's Towns Week. Online voting will be open from Monday 20 November to midnight on Sunday 26 November. The winner willl be announced by STP and the Scotsman by the following Friday, 1 December. View shortlist and cast your vote here! On Tuesday 21st November towns stakeholders from across sectors and communities meet for our annual Scotland’s Towns Conference. Our host this year is the wonderful Paisley. Whether you are attending the conference or want to keep up with developments from afar, follow updates on our Twitter account at: @ScotlandsTowns and #STC17, as well as @Paisley2021 #Paisley2021. This year’s Scotland’s Towns Conference examines how, as a nation of towns, it is critical that we embrace our heritage; not only to acknowledge it, but to measure its worth, and value it; and to curate, preserve, protect and promote it. In a world seeking authenticity, it is how we use our towns’ heritage moving forward, that will help determine the social, cultural and economic wellbeing of communities across Scotland.